Celeste Ng’s novel, Little Fires Everywhere, is the story of two families whose lives intertwine in Shaker Heights – an ordered, middle-class American neighbourhood. The Richardsons resemble the perfect family – wealthy, beautiful, and successful all around. The Warrens, on the other hand, are nomadic, minimalist, and do not play by the rules. The friendships that develop between the children of these two families marks the beginning of a complex story concerned with the meaning of family and the subtle impact that people have on each other’s lives. 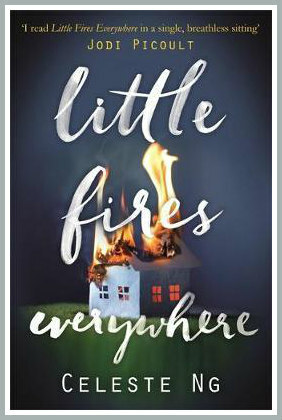 I highly enjoyed Little Fires Everywhere for its focus on small-town politics and the complex characters. However, I felt that the novel made some questionable comments regarding adoption and who can be considered a mother, which ultimately made me a bit uncomfortable. The novel begins with a series of character portraits to introduce the members of each family and illustrates the stark contrast between them. The Richardson children – Lexie, Trip, Moody, and Izzy – are very different from one another. Each has their own unique personality and set of interests that set them apart. Izzy, in particular, is revealed as the outsider of her family for her eccentric and strange personality (which I loved!). On the other hand is Pearl Warren, who lives with her single mother, Mia, in an apartment they rent from the Richardsons. Mia and Pearl are almost the opposite of the Richardsons with their modest, easygoing lifestyle. Mia is an artist and has spent most of her life on the road, hoisting Pearl from town to town in search of “fresh starts”. I enjoyed how the two families are placed against one another to clearly illustrate their differences, despite it being a bit too drawn-out. The first 100 pages of the novel kinda overdo the point that these families could not be more different, one being based on rules and following “life plans” and the other being based on feeling and “going with the flow”. The characters are complex on their own and did not need so much in-depth description and analyses. 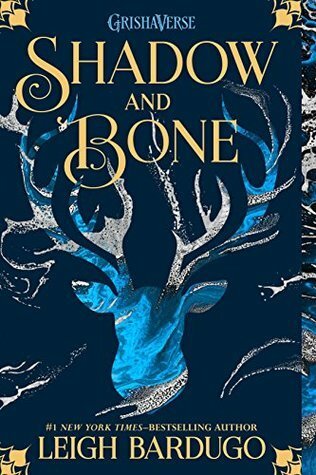 However, I thought this technique of introducing the characters and juxtaposing them against one another was the best approach to take since this novel focuses heavily on individuals and their choices. It just would have been better if less time was spent on it! I also really enjoyed how the Richardsons and Warrens were brought together by their differences. Pearl is in awe of the life that her newfound friends have in Shaker Heights whilst Izzy is drawn to Mia in the most unexpected of ways. They all become so entangled with one another that they almost feel like one family, with the two matriarchs being the only two who seem unmoved by the other until the end of the novel. The friendships that form amongst their children point to the importance of understanding what life might be like on the other side of the fence. Ng does a really good job of bringing all of these characters together to show how subtly neighbours can impact one another and that, often, blood is not necessarily thicker than water. Whilst family is important, we can also create a family out of the friends in our lives and they, too, can shape us in ways we never expected. By the end of the novel, it is clear that family is a crucial theme for the author. The families change one another in small yet noticeable ways and (somewhat) maintain strong bonds within themselves as well. Ng illustrates the importance of not remaining static as a family but rather being open to change, whether it is planned or not. However, the sentiment of “blood is thicker than water” is tested when a close family friend of the Richardson’s attempts to adopt a Chinese-American baby. The event fractures the community, becoming a controversial news spectacle that questions what truly makes a mother. The Warrens and Richardsons see their own relationships being tested by the event when they decide which side of the adoption case to support. Whilst I found it interesting to follow this event as it shifts from being “too-close-to-home” to a “Wisteria-Lane-esque” spectacle, there were some moments that made me feel uncomfortable about what the characters were implying about adoption. At one point it is stated that a biological mother is the rightful mother of her child regardless of whether or not she gave that child up and is unable to support them financially. Not one character argues against this openly and this made me quite upset. Even though it is also stated that families who adopt are worthy of being parents, I felt like some of the characters were too caught up in the idea that only biological mothers are mothers. Whilst I enjoyed the ongoing debates and politics surrounding this event, I found that there were some problematic comments that were never addressed and left me feeling quite underwhelmed. Regardless, I found Little Fires Everywhere to be quite an enjoyable novel! Luckily, my problem with the adoption controversy only sprang up towards the end and so my reading of the book wasn’t entirely tainted. The interesting dynamic within and between the two families, the complex characters that each contain, and the small-town politics that they are swept into made this novel truly deserving of a four-star rating. These aspects illustrate the importance of finding friends in those who are most unlike ourselves and how they influence us so unexpectedly. If you enjoy character-driven stories then I highly recommend that you give this one a try! HAVE YOU READ LITTLE FIRES EVERYWHERE? WHAT DID YOU THINK? COMMENT DOWN BELOW AND LET’S TALK ABOUT IT! I’ve been wanting to read this since seeing a few good reviews/ I like the sound of the family dynamics and the way they’re explored. Maybe I can get to this one this summer. Thanks for a nice, detailed review! Thank you for your lovely comment! You should definitely give it a try, it’s a nice read for the summer! I’m a 23-year-old English Literature graduate and book blogger from South Africa. I write book reviews and other book-related content, mainly focusing on Young Adult literature. 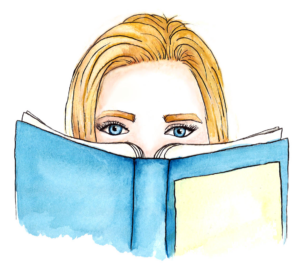 Stick around and chat about books with me! Enter your email address to subscribe to this blog and receive notifications of new posts by email. Join 57 other subscribers. Lara has read 1 book toward her goal of 30 books. Copyright © 2018 A Bundle of Books All rights reserved.